Bleach 650 reveals the secret behind Shunsui and Nanao’s mother as he finally returns her zanpakuto back to her, Kyoukotsu. While Shunsui is geared towards giving up, Nanao appears and wakes him up from death, Lille attacks but they escape into Lille’ shadow to talk for a bit. Lille grows a long neck with a Owl’s face. 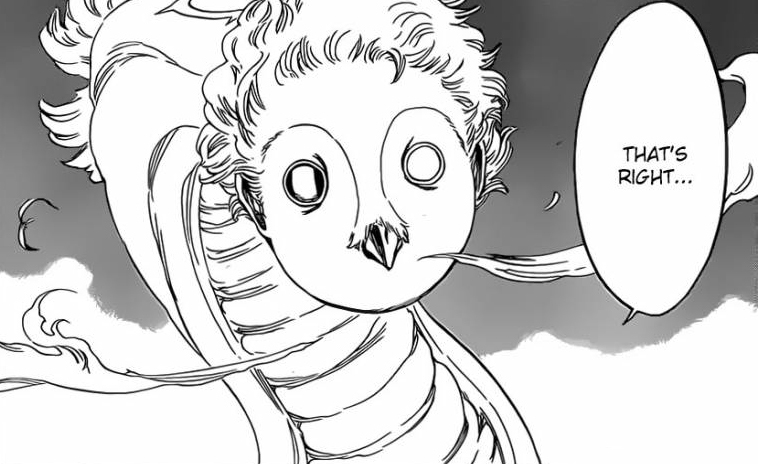 Bleach 650 begins as Lille begins to grow a head, it has a long neck with a face similar to that of a owl. Shunsui begins to talk mentioning that he thought that he would die after cutting his head off, but it seems like he’s got him good. Lille mentions that this is what despair looks like, no weapon can kill him, and even if his head is lopped off with his reiatsu, it won’t kill him. Lille mentions that he is immortal and invincible, he is the one, the chosen one that will serve god and erase all the sinners that dare go against god and his messenger. Lille grows a hand, raises it up and causes a large light to flash through the whole island they’re on. It splits a part some of the island but Shunsui just runs off once more. Lilly is shocked to see that he still has energy to move and escape his divine retribution, even with the damage he’s taken. Nothing less is expected of a captain commander. Sakuranosuke talks to Shunsui as she mentions to escape with him. They are up against someone who survived the karematsu-shinjuu, she has run out of ideas, he’s already fought and is hanging on his last breath and consciousness. She mentions that no one would blame him if he escaped, she asks for him to come with her, she tells him to close his eyes and she will take him. He begins to close his eyes when Nanao shows up and tells him to wake up. He looks at her and realises that she’s not been affected by his Bankai, further to this, he begins to spew out blood. Nanao tells him not to talk. She quickly mentions for him to take her zanpakuto. She mentions that this isn’t the time to hesitate, and that he should forget the promise he made with her mother. Lille appears as he mentions that it’s getting a little noisy there, and as he notices that the vice-captain seems to have come back. It seems that she doesn’t appreciate the fact that he put his life on the line for her. He unleashes his attack but Shunsui calls forth Okyo (or Okyou). Lille notices that Shunsui and Nanao have escaped again, while his eyes are getting dry. They try up every time he looks at something. It seems that Shunsui and Nanao have entered Lille’s shadow. Shunsui asks about her knowing about her own mother, to which she says that she does, this whole time. Shunsui mentions that he can never win against her. And thus he has nothing else he can do but to return her zanpakuto to Nanao. We’re revealed that Nanao’s Zanpakuto is none other than Kyoukotsu, who appear behind Nanao. Bleach 650 ends here. This episode was fantastic, and really fun to read. I think Kubo is having a lot of fun with Lille, as he is cut apart, he just grows something new. I think Kubo’s creative nature is playing a large part in Lille. 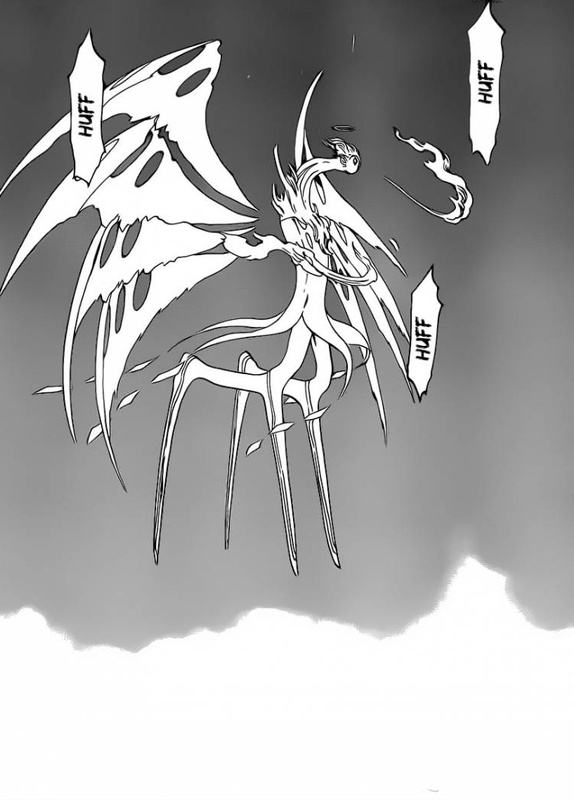 I can’t wait to see what happens in next week’s Bleach 651, when this battle goes on. This chapter was amazing! I love when Kubo delivers and makes us surprised. 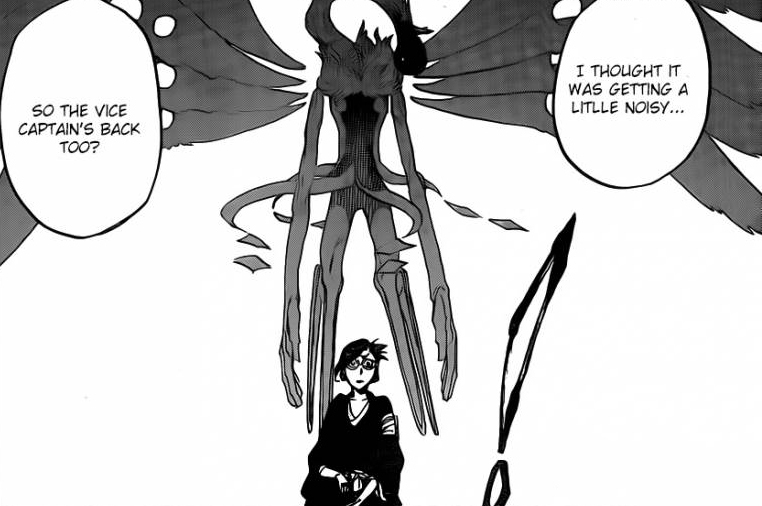 Funny thing is, Kubo foreshadowed abiut Nanao in the Zanpakuto Rebellion arc. Remember when Shunsui and Okana were just hanging out? Well he asked Nanao to speak with the little girl. By the end of the episode, they are friends. 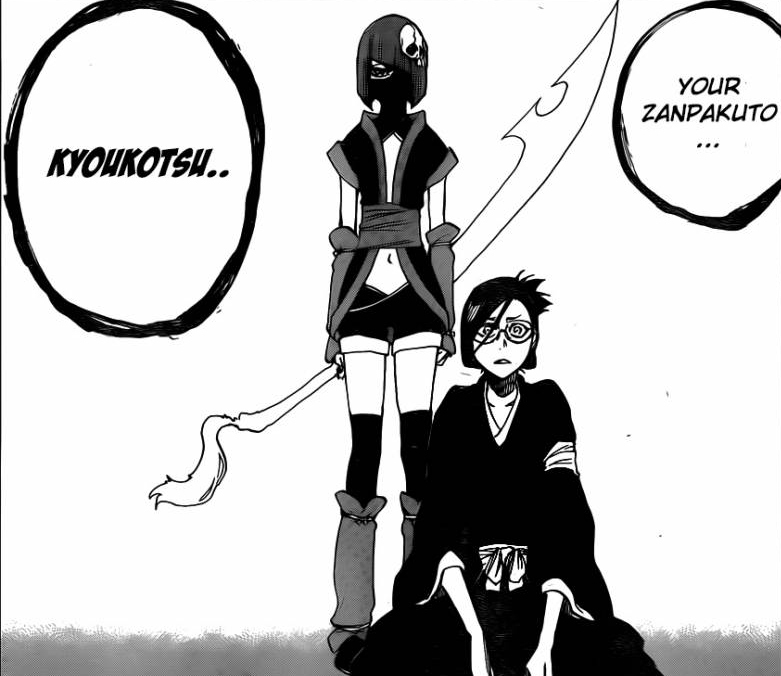 How that I think about it, why would Nanao bound with a Zanpakuto Spirit That’s not hers, But her Captains? How we see that it’s her own Zanpakuto. Plus, in the data books, her sealed Zanpakuto is a Wazashi, just like the little girl Kyokotsu. Lille’s Vollständig just keeps getting more unusual. I’m guessing this is his power up form. He’s not the first Quincy to have a unique power up form. Mask De Masculine has a Star Power Up with changes his Mask and clothes before entering his Vollständig. And Pernida has the most unique form of all when she transforms into the left arm. I guess when Lille’s head was cut off, he entered in his form. At first his Vollständig Zyrael made him look like a moth, now he looks like a phoenix dragon. Yeah, I don’t remember most of the rebellion arc, but I know it was a good one, I might have to go back to it. Further to this, I think just like Mayuri and Nemu, Nanao will have to also step in and fight alongside Shinsui. I think Lille will eventually turn into something similar to DBZ’s Shenron dragon lol, the face and neck remind me of him. Probably. Considering her Zanpakuto is his for some reason. Lille’s new form is based off of an angel form with a birds head and a serpent body named Lilith. Lille really is a servant of Yhwach if he’s this powerful. I’m glad though, each Schutzstaffel is living up to their ranks. First Pernida being part of the Left arm and still alive somewhere, and now Lille is an intangible angel. I love this fight so far. I thought it was going to be a quick defeat for Shunsui. However, we keep getting twists and turns. I’m excited to see why and how Shunsui came to use Nanao’s Zanpakuto. The transformations continue with lille . He just cant stop changing! I expected the other zanpakuto spirit to show up but not under these circumstancess. The secret of kyorakus kimono may have to do with nanaos mother. I predict some more secrets will get revealed next chapter while lille may be defeated but not before he transforms at least one more time. Agreed, the chapter has calmed down a little when they entered the shadow, so they have some time to talk about what really happened. Because Nanao knows and Shunsui knows, but we don’t know. It’s possible that sense Kyokotsu is Nanao’s Zanpakuto, maybe it’s abilities are about Child games, while Shunsui’s Katen is about theater. Whatever the case is, Nanao is clearly related to Shunsui, which would explain their close relationship compared to the other Captains and Lieutenants. That is highly likely, I think they could be related. Maybe her father? I’m guessing. Its nice that the woman who gave him the pink kimono is his wife. Or His Sister. 110 years ago, Isane was a little girl in his Division that would vist Lisa and read with her. Yes I meant to day Nanao not Isane. My bad. atleast im happy that my captain has not died. I read the chapter twice to understand the role of nanao chan. I believe my captain is strong. if he can fight with several holes in his body then indeed hes the most powerful captain (more powerful than yamamoto) in the gotei 13. Sense Nanao was a child 110 years ago, I’m assuming Kyokotsu was her mother’s Zanpakuto. Similar with Kaname’s friend, who’s Zanpakuto was Suzumushi, and when she died, Suzumushi became Kaname’s Zanpakuto because his soul was similar to hers. Yeah they’re much stronger then them, it seems. However, I think the Zero Guards have powers which are very specialized and crazy good in their field. I think its pretty obvious that kyoraku is zero division material. The part that i dont understand is when nanao tells kyoraku to take her sword but he already had it and now wants to give it to her. So maybe they will swap. Also yamamoto long ago said that ukitake and kyoraku have double swords so kyoraku been had two swords way before nanao was born. Maybe kyoraku switched swords after talking with nanaos mother. Another thing that has bothered me is what ukitake said during the battle with stark. He said that kyoraku should not use bankai or else other people will “see” it but other people didnt need to see it but still felt it so what is the difference if his bankai had nothing to do with looking at it. i think stark would probably force lille to go volstanding too. If he shot 1000 ceros lille would eventually have to open his eyes 3 times thus unleashing his volstanding. Kyoraku forced lille to use volstanding while he was in shikai. The only person who did something similar was oetsu, who is a member of squad zero, although he killed lille without releasing his shikai but lille had to revive and use some type of holy form to beat oetsu who hadnt used his shikai. So all in all im overall confused about oestu, lille, kyoraku, and the rest of squad zero. Here’s the thing, Shunsui is strong enough to hold his own against any Royal Guard Level fighter. But he is still weaker than them. The reason he forced Lille into Vollständig was because his Shikai gave him a big advantage against Lille. Katen Kyokotsu has many games, most of them are more useful to him like Kagekuri or Bushogoma or Okyou. Lille’s Schrift is limited against Shunsui. He can only fire The X-Axis, bullet Heilig Pfeil, and the left eye intangible. If Shunsui fought another Schutzstaffel, he wouldn’t have overwhelmed them. Like Pernida. I doubt Shunsui can force Pernida into Vollständig, because her Schrift alone can counter Katen Kyokotsu because The Compulsory can do so many things. She cab whisper and warp your whole body depending on her whispers, she can invade your nerves and warp you to death, and use her Heilig Pfeil with her nerves to fix her range problem. She can also bend her Heilig Pfeil with her nerves, and make the entire ground her nerve trap. I personally don’t believe Starrk could force Lille to Vollständig with his Cero Machine Gun alone. When he fired a Cero at Shunsui, it only did moderate damage. Maybe his Wolves, but Starrk would still lose to Lille’s Vollständig. And about Oetsu, we don’t know if he was using Shikai or not. I think he was cause the sword has a name, ability, and gender like Zanpakuto. Its name is Sayabuse, and other than being incredibly sharp, it has the ability to kill you depending on the cut. That’s how he killed the Schutzstaffel. Askin was able to avoid a fatal injury by moving fast enough to not get killed. But yes Lille in his power up did defeat Oetsu. mangastream. changed mangapanda ‘s translation, Nanao tells shunsui. to bring out her zanpakto. instead of telling him to take it….. it appears mangapanda messed up the translation… the real fight will now begin and shunsui ‘s endurance is open…. Wow! its been quite a while since i last commented in here, how are u all guys doing? nickdunn, Sunite, trinin, rahmaru & others(sorry for not mentioning all ur names hehe)..& miss u all & thanks for keeping the “band wagon” going..
Hey Josephia how are you! I’m glad your back. 🙂 I like your analysis about what has happened lately. For one thing, I’ll explain what I think what has happened sense you last appeared. About Mayuri and Nemu vs Pernida, I liked it. I was hoping Mayuri would die, but at least he needed Nemu because he couldn’t handle Pernida. I also don’t believe Pernida is dead, she needs her Vollständig, flashback, and human form revealed. Being part of the left arm of the Soul King seems to important for the story for Pernida to be killed off so easily. I actually like Shunsui’s Bankai as well. I definitely wasn’t expecting to fight Lille Barro, another gun user like Starrk and Robert. But I’ll answer your question as to why his Bankai couldn’t kill Lille. Lille, by portrayal, is stronger than Shunsui. Remember, the Royal Guard are stronger than Shunsui and Jushiro. I consider Lille, Pernida, and Gerard stronger than them as well. Only Askin being the same strength because of his recent promotion. But he’s powerful enough to hold his own against opponents of this level. Jugram is also an interesting one. While it was revealed when Yhwach sleeps, Jugram gets his powers and The Almighty. Jugram has two different levels of power he can be classed as. The first is his base power, or his own Schrift and Vollständig, has be portrayed to be as powerful as Shunsui. Which is why we all thought they were going to fight. That means Jugram in base power is weaker than Schutzstaffel like Pernida, Lille, and Gerard but equal to Askin. Only when he gains The Almighty does Jugram become much more powerful. The latest chapter has just released so it will explain to you what’s happening with Nanao’s Zanpakuto. so chapter 651 is out! my my, i thout this was the latest one, silly me, either way, its like u said, what made Pernida vs Mayuri so epic is the fact that most pple thout Mayuri was going to lose since the all mighty Zaraki(who even Mayuri in several occasions openly acknowledge his strength)was completely helpless against Pernida’s shrift, & when pernida turned out to be the “left arm” of the SK..The odds one would have bet on Mayuri coming out frm this one were pretty slim..I liked it more coz of how Mayuri was able to win, which wasnt easy either, thou like u, with pernida being the left arm of the king & all i dont think he is completely dealt with, & one thing didnt understand is was pernida the entity like mimihagi or was he more like Ukitake(a versal)? As for the royal guard being stronger than Shunsui & Jushiro, wel that i dont quite agree & i think we have already had a tussle on this way back..IMO from where things stand now i think Ichibei is the only Royal guard that his power was truly justified having fought “Yhwach” & the fact that Yhwach himself believed the Elite guard where no match for him, i would like to think Oetsu & Shutara r stronger but given the current events dat is currently arguable. Shunsui fought Lille in Vollstandig with shikai & he resorted to bankai coz he couldnt infict damage on Lille by any other means given his power up, & given wat we have seen, this also show dat Oetsu couldnt have possibly end Lille the way he did, & since Yhwach used the Auswählen when the elite guard were taken down, i believe this act further powered Elite guards & they became even stronger than before, strong enough to take out the royal guard with Lille taking them out simultaneously with his X-axis, thou they got offscreened but thats how it went down, & i highly doubt if the elite guard went all out in this one thou i strongly believe the royal guard must have fought their best but this is this is jst my speculation, so with Shutara & Oetsu arguably stronger, on the otherhand i believe Hikifune & tenjiro arent stronger than Jushiro & Shunsui, Hikifune by potrayal is stronger than Tenjiro..& Hikifune wasnt the strongest wen he got promoted to 0 squad, after-all, squad zero werent promoted coz of their strength & it was never implied that they even regarded strength as a criteria of being chosen into their ranks even thou its members happen to be among the strongest soul reapers..i would like to think dat the royal guard power came from their unique abilities dat each of the posessed other than the fact that individually they were pretty strong hence why their combined power is said to surpass the gotei which i still hold to be true even with late events.. Thanks for the reply. Here’s what I’ve concluded about Pernida. I consider her female because of her first name being feminine and Kubo made the Royal Guard gave two female members of out three men makes me believe he made the Schutzstaffel have four male members a one female member. Or two sense the female Quincy with the pitch black eyes that is close with Jugram hasn’t been shown sense her reveal in chapter 544. If you noticed during Mayuri’s fight, Pernida kept saying “My…name…not…Left arm. My..name…is…Pernida. Pernida Parnkgjas. ” She didn’t view herself as the left arm entirely like many people assume. She also considered herself a Quincy and even have her own Quincy powers to prove that. She has Schrift (The Compulsory) Vollständig ( Has not been revealed) Hirenkyaku (She surprised Yoruichi and warped her left arm.) Blut Vene ( She tanked the second sword slash from Zaraki with not injures) Spirit Weapon (Reishi Bow) and Heilig Pfeil. If you look back at chapter 599 when the original Schutzstaffel were revealed, you’ll see that she looks different when she encounters Mayuri and Zaraki’s group. Her head is smaller, she’s taller, and has a human hand. She also was killed by being stabbed through the head by Oetsu’s Sayabuse. I believe she has a humanoid form that we will see when she returns. I believe like Jushiro, who has his own separate powers as a Shinigami, he became one with Mimihagi. I believe Pernida is the same and she became one with the left arm for an unknown reason. I believe she will not be able to turn into the left arm again sense Nemu’s cells kept making her clones regenerate and die. Also, Mayuri didn’t really win that fight. He only won because she survived the longest. Nemu was the one that defeated Pernida. The portray of the Royal Guard are said to be stronger than most Captains. 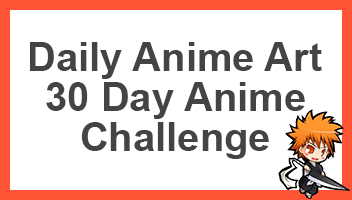 Including Shunsui and Jushiro. They are the only Captains that can actually hold their own against individuals at this level including Yamamoto, Unohana, and Zaraki. Lille is stronger than Shunsui. The reason why he had to go Vollständig was because his Schrift was limited against Shunsui’s haxed Shikai. Replace Shunsui with Jushiro and he wouldn’t be able to force Lille to Vollständig because his Shikai only had one unique ability. Same with Lille. Replace him with Pernida and I doubt he could make her go Vollständig because The Compulsory can do so many things to counter Katen Kyokotsu’s games compared to The X-Axis. I consider Shutara, Oetsu, Kirio, and Tenjiro stronger than these two. But of they go Bankai, they would need Bankai to defeat them. Hikifune is stronger. Her food was able to make Ichigo, Rukia, Renji, and Byakuya reach their full potential. That food is her own Reiatsu.